Why is the National Commission for Scheduled Castes (NCSCs) unable to function normally in Gujarat to inquire into different human rights issues involving Dalits? If NCSC officials are to be believed, it is because it does not have “adequate staff”, or “basic infrastructure”, or even a car, or, worse, a “proper office to function from”. All this and more has come to light in a Right to Information (RTI) reply to NGO Navsarjan Trust’s senior activist Kirit Rathod. The reply revealed, as a result of all this, more than 3,500 complaints has been pending before the NCSC for the last several years. NCSC’s Gujarat office, says the RTI reply, was established in 1991, and has been functioning from a two-room office of the Mavlankar Mansion near Lal Darwaja, Ahmedabad. 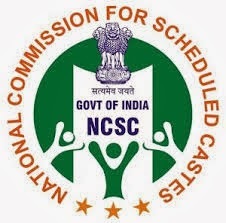 Despite the fact that the NCSC’s head office requested state social justice and empowerment secretary Sanjay Prasad to urgently look into the transfer of the NCSC office operating from an “old office situated in a very congested area of Ahmedabad” to Gandhinagar, the state capital, more than two years have passed, nothing has happened. Prasad was particularly told why it is important to shift the office – because it should work in close cooperation with the Gujarat government. “All the information and data etc. is to be collected from state government departments”, he was suggested in the letter written in November 2011. Even space needed for NCSC office in Gujarat noted down – 2,500-3000 sq feet “approximately”.